The Nelson-Marlborough, Southland and northern Otago survey blocks have also been completed. The survey will now stop for winter, and begin again in Central Otago in spring. Aeromagnetic data is used to understand the geology of an area. It helps with identifying mineral deposits, and provides information on faults, aquifers, and soils. The data gathered in these surveys will be available for free. The surveys are part of an $8 million government investment in new data, announced in the 2014 budget. 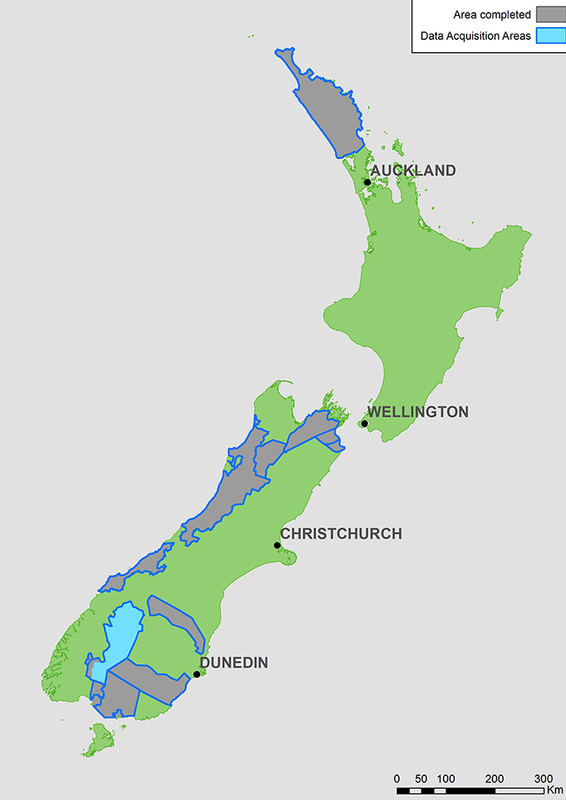 The data gathered is also valuable to local authorities - Marlborough District Council and Venture Southland (representing Environment Southland, Southland District Council, Invercargill City Council and Gore District Council) have partnered with NZP&M on the project.